I am trying to get Cordova to work, for the first time. 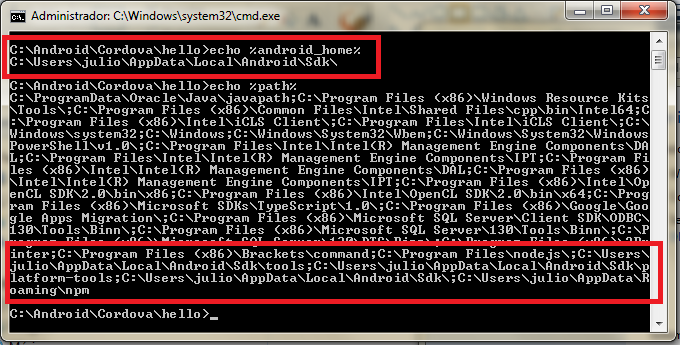 I have android sdk platform 14, 16 and 20 to 27 installed. *** Solved it. I had java jdk-9.0.4 installed, installed jdk1.8.0_162 and redirected java_home there and now everything is working so far. Solved it. I had java JDK 9.0.4 installed. Installed JDK 8u162 and redirected java_home there and now everything is working. Not the answer you're looking for? Browse other questions tagged android windows cordova target or ask your own question. How can i update ionic app android api level to 26..?